We use both old and new hymns sung by the congregation and choirs along with organ, piano, and on occasion, other classical musical instruments. In Advent and Lent season we also have weekday worship service on Wednesdays at 3:30 PM & 7:00 PM. The Church Year is divided into two main parts: The festival half, which covers the life of Christ, typically begins about December 1 and ends about May 30. Each church year begins with Advent and the promises of His coming, the birth of Jesus, His ministry, His suffering, death, resurrection, ascension and Pentecost. The non-festival half, which emphasizes the Christian's life of response to Christ, typically begins about June 1 and ends about November 30. Special services are held throughout the year to celebrate certain special days in the church year and festivals. The times may change, so please call or check website for exact times. Members of Faith will be at the church entrance and inside the gathering space before worship services to meet and greet people. Feel free to ask them any questions you might have concerning our church. Nursery service is provided for parents who would like to participate in our bible studies between services. The nursery is in the cry room at the back of the sanctuary and is available from 9:15-10:30 each Sunday morning. Volunteers from Faith staff the nursery. 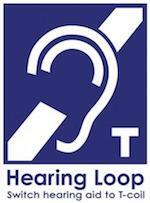 A T-Loop is installed in the Faith Sanctuary for the hearing impaired compatible with hearing aids that support T-Coil. Amplified headphone receivers are also available from the ushers.